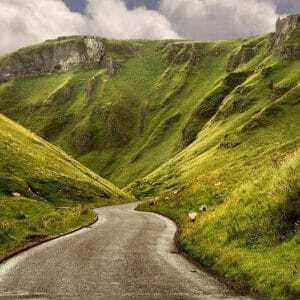 Go Panda Removals and Storage Company » Scenic roads of Britain. 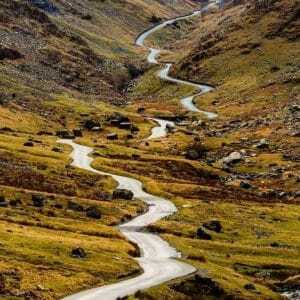 It’s not all bad working for a removals company in Cardiff, as you may have guessed our teams here at Go Panda Removals in Cardiff and Bath spend many a long hour negotiating the complex network of roads that connect us all together on this crazy little island. Sometimes it’s impossible not to let our eyes wander, and gaze out over the glorious countryside. 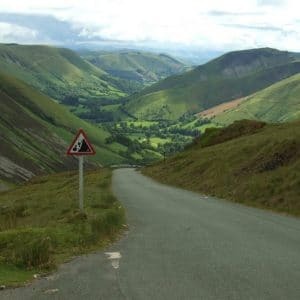 Some say we’re unlucky to be marooned behind the wheel of a big removals van, but we just feel privileged to even catch a glimpse of the gorgeous scenery the UK has to offer. It’s easy to forget what a spellbindingly beautiful country we live in, from stunning sea scapes and cascading cliffs, to mesmeric mountains and hidden valleys. The landscape is so diverse, and displays such a wonderful array of colour, that changes and evolves as each season folds into the next. We’re just thankful we get a chance to see it. Here’s a collection of some of our favourites. Buckle up and enjoy the ride. Grandiose mountains, crisp, clear air and barely a soul in sight. 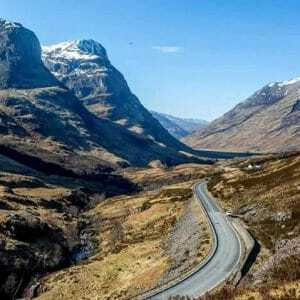 This magnificent mountain road traverses some majestic scenery right the way through the Scottish highlands. Despite passing a multitude of famous lochs, Nessy included, our favourite stretch from Tyndrum to Glencoe across Rannoch Moor is a must see. Pure bliss. certainly wets the appetite of any avid driver. It’s a bit Higgedly piggedly for sure, but if you like that kind of thing, this road’s just perfect. There’s something about the soft, velvety grass glistening along the contours of this peak district valley, which gets the juices flowing. Despite it’s obvious majesty, there’s a strange eeriness to the way this valley descends down into the murky depths. What trolls or goblins lurk around the corner, one can only imagine. 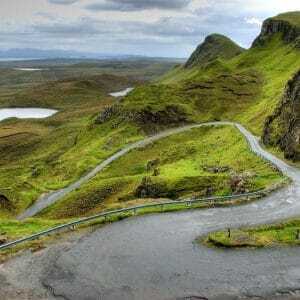 Fabulously rugged and bleak, this unperturbed landscape is littered with crystal clear lakes, dramatic country hills and cliffs that cascade down towards a breath takingly beautiful coastline. If you make it up this far (it’s a long way up!) you will not be disappointed, and expect to see some of the most amazing views in all the land. Why are the best views also where there seems to be the least people? We don’t like to think our van spoils a good view, but if there’s no one else around to see it, then what harm can it do eh? Well, at least we get to enjoy the splendiferous scenery, and here’s another one for the scrapbooks. That’s not a road! Well, as a matter of fact, it’s just hiding behind the hedge, concealed from view. 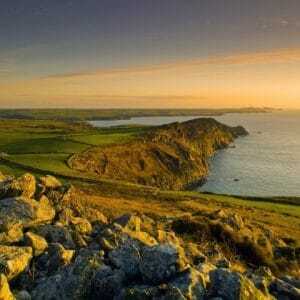 But what a cracker this is; a short drive around The Strumble Head peninsular in Pembrokeshire lays claim to some of the most brilliant and dramatic coastline in the whole world. Sometimes, you’ve just got to get out of the van, and stand in awe of the spectacular scenery which hooks your eye. This was most certainly one to remember. This article was written by Go Panda Removals. We have also opened a Go Panda branch in Bath.